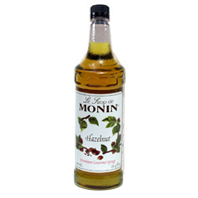 Made with select ingredients and pure cane sugar, Monin hazelnut syrup is a highly concentrated, authentic flavoring offering exceptional versatility for creating specialty beverages. Convenient bottle pump included. Pump dispenses a ¼ oz. portion. Creamers & Sweeteners Price Qty.